Lucky New Year! with Flaps, Pop-Ups, and More! 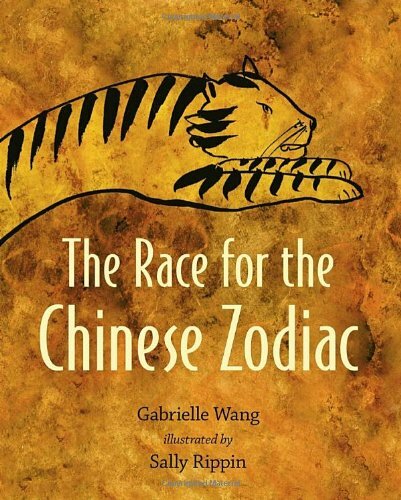 With gorgeous illustrations based on Chinese painting techniques, a lively retelling of the legendary animals’ race that led to the twelve signs on the Chinese Zodiac. Long ago in ancient China, the Jade Emperor, ruler of heaven and earth, proclaimed a mighty race, saying that the first twelve animals to cross the river would have a year named after them. 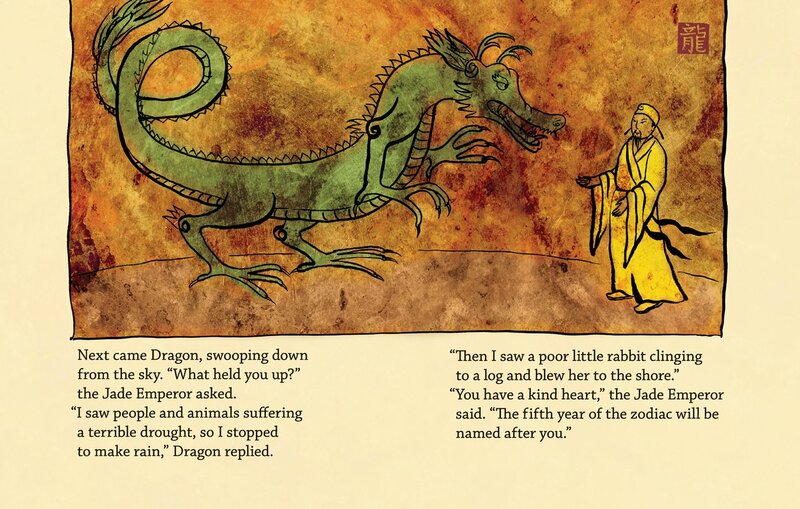 When the gong rings out, Tiger leaps in the river, followed by peaceful Rabbit clutching a log. Rat and Cat climb on Ox’s back, and Dog splashes in the shallows while Rooster finds a raft and takes clever Monkey and gentle Goat on board. 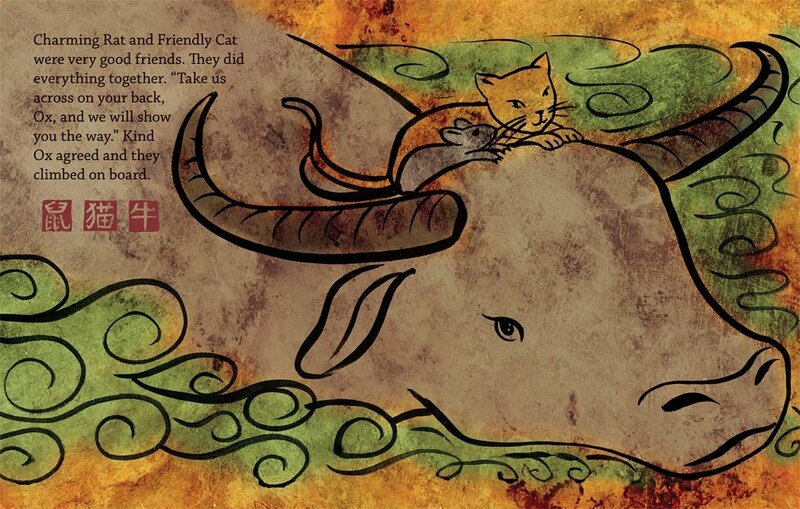 Snake hitches a ride in Horse’s mane, powerful Dragon flies over the river, and Pig plays happily in the mud. But thirteen animals are racing for only twelve places on the Zodiac. Who will be honest, and who devious? Who will help friends along the way? Who will come first — and who will miss out?